This is a very lovely plus size tank dress, available in sizes 1x to 9x. 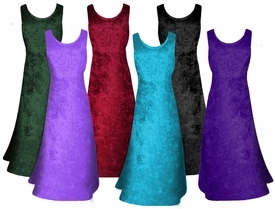 The fabric is a stretchy crush velvet, available in many colors. It has a medium round neckline and no sleeves. The material never wrinkles, and has a wonderful drape, travels great! Standard length 50/52 inches long. Machine-washable; crush velvet; poly blend; made in USA. NEW! 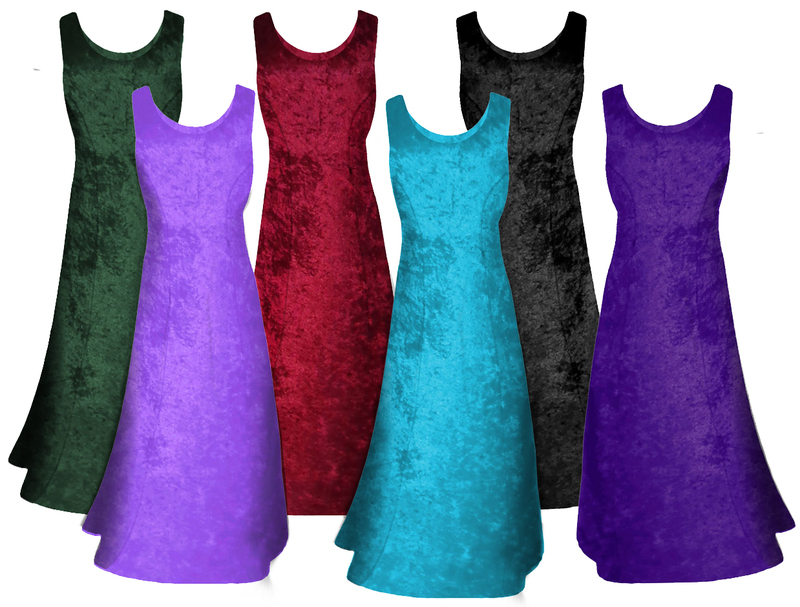 Now available in crush velvet black, dark purple, medium purple, burgundy, green, and turquoise.